Misco presents this Majestic Carpet Extraction Cleaner. With a slightly alkaline pH at about 9.5 it powers our dirt and stains without being too harsh on your carpeting. After using this carpet extraction cleaner it's very important to use a carpet neutralizer to avoid color loss in your carpeting. 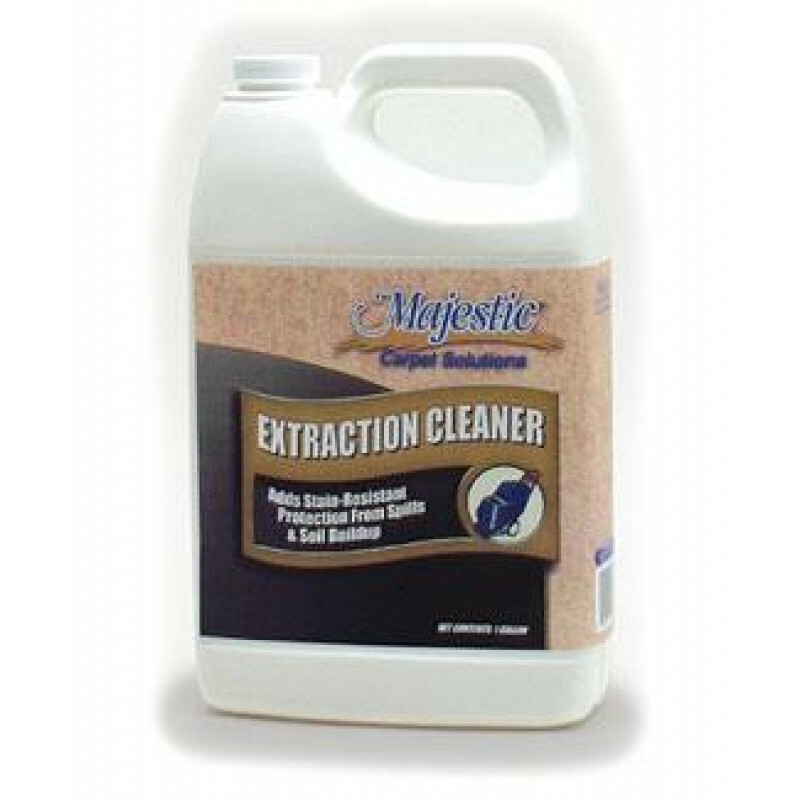 Safe for all carpeting, including wool, this extraction cleaner does not contain any optical brighteners. For general use you'll typically mix 2 to 4 ounces per gallon of water. 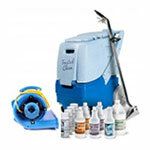 For other types of cleaners take a look through all of our general floor cleaners to find the best one for your job. Follow our carpet vacuuming procedures to initially remove as much soil from the carpet as possible. As with any carpet cleaning product, make sure you test the product in an inconspicuous area to ensure colorfastness. For lightly soiled carpets, dilute 2 ounces per gallon of water, for medium soiled carpets dilute 3 ounces, for heavily soiled carpets dilute 4 ounces. Add a small amount of defoamer for carpet cleaning machines to control excessive sudsing in your recovery tank. Extract the carpet completely following our carpet extracting procedures. Follow up the extraction by rinsing the carpet with a rinse & neutralizer as per directions on label to return the carpet pH to neutral.